Pearson correlation is one of the standards for comparisons in biomedical analyses, possessing yet unused potential. Substantial value is added by transferring Pearson correlation into the framework of adaptive similarity measures and by exploiting properties of the mathematical derivatives. This opens access to optimization-based data models applicable in tasks of attribute characterization, clustering, classification, and visualization. Modern high-throughput measuring equipment creates high demand for analysis of extensive biomedical data including spectra and high-resolution gel-electrophoretic images. In this study cDNA arrays are considered as data sources of interest. 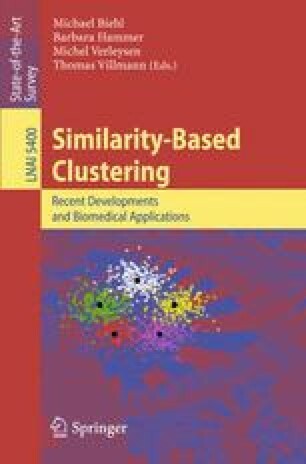 Recent computational methods are presented for the characterization and analysis of these huge-dimensional data sets.